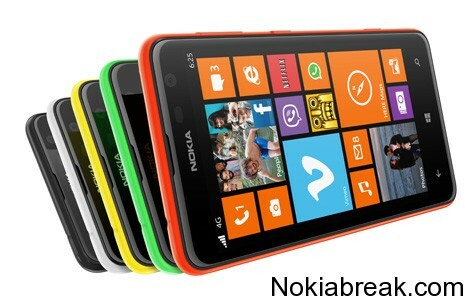 Lumia 625 by Nokia is the first ever big screen Windows phone which has been launched by Nokia. 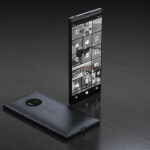 Earlier Nokia used to launch small screen Windows Phones but as the demand of big screen smartphones increased company decided to add big screen smartphones to their product list. 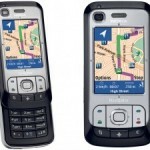 The smartphone comes with good configuration and is a suitable option for people who want to buy a budget Windows Phone. 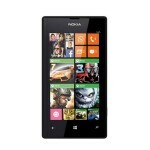 In this post we are going to share Nokia Lumia 625 smartphone review. If you will hold both the Nokia Lumia 620 and Lumia 625, you will see that Lumia 625 is nothing but a big brother of the Lumia 620 as both the devices are quite identical. The rear panel of the Nokia Lumia 625 doesn’t cover the front of the device like the Lumia 620. Lumia 625 comes with curved edges which give a really cool look to the device. The smartphone is available in multiple colors which are Orange, yellow, green and black. The volume rocker is placed at the top right side of the smartphone. On the bottom you get a micro USB port along with a primary microphone. The 3.5 mm headphone jack is present on the top of the device. The device sports a 4.7-inch display screen. Lumia 625 is the first smartphone which comes with a display bigger than 4.5-inches. The display is an IPS LCD display which delivers resolution of 480 X 800 pixels. You get 199 ppi in the device which means that if you will see images with low resolution they will appear pixelated. If you will look at the tiles on your smartphone closely you will find them pixelated. Lumia 625 comes with a 5 mega pixel rear shooter with LED Flash. You get a Windows Phone 8 camera application which will help you in capturing amazing shots. You can select from different effects such as ISO white balance, scene selection, saturation, and contrast among many others using the Windows 8 camera application. Other applications which you will get installed in the Lumia 625 for using the camera are Cinemagraph, Smart cam lenses and Bing Vision. You will be able to capture amazing shots if you are having good lighting around you however the camera fails to capture shots in low lighting conditions. You can use the rear shooter to record videos in 1080p HD at 30 fps. On the front you get a VGA camera which is not that good for capturing selfies but will do well during video calls. Under the hood of the Lumia 625 you get a 1.2 Ghz dual core processor. The processor is coupled with 512 MB Ram which is quite less as compared to what other smartphones are offering. You will be able to run many games which need less RAM as Windows Phone Store is having special games which are capable of running with only 512 MB RAM. The Adreno 305 GPU is capable of delivering good gaming experience. You will get 8 GB internal storage in the device which you can expand to 64 GB by adding an external micro SD card. The 2000 mAh battery is sufficient for lasting the device for an entire day. 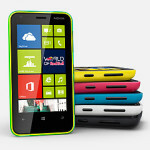 Nokia Lumia 625 is available in multiple countries. If you are planning to purchase the smartphone from another country and want to get it unlocked then you can visit this website. You can buy Nokia Lumia 625 both offline and online. 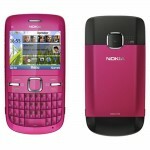 The price of this smartphone on online e-commerce website is Rs 8,103.